The West Coast of North America is well known for its volcanoes, particularly in Washington and Oregon with such mountains as Mt Rainier and St Helens. However, the chain of volcanoes stretches well into Canada and there are some spectacular examples of these peaks in the Coast Mountains of BC. Fireside Adventures is pleased to partner with Outdoor Explore Adventures to connect you with three amazing trips this coming year. Provide promo code outdoorexplore to save 10% off your adventure! This circuit is a ideal for those who have some backpacking experience and want to explore a new area or try some scrambling in the British Columbia mountains. The route is demanding and requires a good level of fitness. We will be carrying heavy packs over steep terrain to access some of the more interesting scrambling peaks. Note: Certain price exclusions apply. Please contact Outdoor Explore for more information. The Middle Earth Trek gets its name from the mountains along the route. This range is known as the Tolkien group, and includes a series of mountains named after Lord of the Rings characters. This part of British Columbia is perfect for multi-day backpacking trips with the majority of the time spent above the treeline, in a rugged, alpine landscape. This area is remote and wild, situated right on the border between the Coast Range and the Interior Range, meaning the landscape is very varied from glacial and snow capped peaks, to rocky volcanic ridges. The route passes a number of crystal clear lakes with sandy beaches which are ideal for swimming. Powell River is a town located on the Sunshine Coast in BC. This area is well known for its beautiful canoeing, kayaking and hiking. 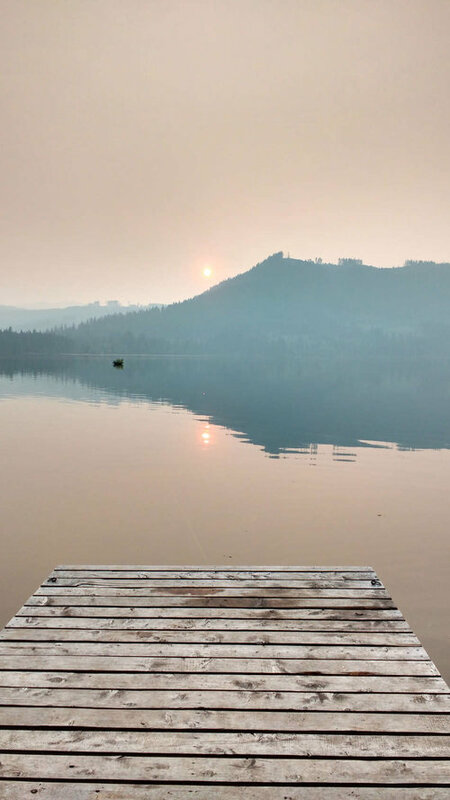 There are many lakes in this area which form a perfect circuit for multi-day canoe trips. The Powell forest canoe circuit takes us 5 days, departing from, and returning to North Vancouver. We will take 2 ferry crossings which offer incredible views of the ocean and surrounding islands and mountains. If you’re lucky, you may spot a Whale or Orca! The Powell Forest Canoe Circuit is approximately 57 km, covering 8 lakes split by 5 portages. A portage is a short hike where we must carry the canoe from one lake to the next. Canoes are lightweight and can be carried by 1 or 2 people. Portages range from 0.7 km to 2.8 km, and paddling stretches from 1 km to 28.5 km. Campsites are well equipped with pit toilets, picnic tables and fire pits. The snowy south face of Langtang Lirung (7,227m) peers right over the looming green mass of Shivapuri, and presides over the closest trekking area to the Kathmandu Valley. Here you may join Hindu and Buddhist devotees on a full moon pilgrimage to the high-altitude lakes around Gosainkund, explore the unfrequented passes overlooking Tibet up from the flower-scattered alpine meadows of the Langtang Valley, and enjoy the heartfelt hospitality of Sherpa and Tamang households. Rhododendrons blend into moss-hung pine giants, yaks trundle down pastures on their way home, and in the monsoon, the blanket of clouds filling the lower valleys transports you a world away from the hustle and bustle of the capital city, Kathmandu. 3 night hotel accommodation in Kathmandu in 4 star hotel. Breakfast is included and rooms are on a 2 person sharing basis. Trekking permits, National park entry fees, TIMS Card & all government taxes. Private transportation to and from the trekking area. All pickup and drop off transportation from and to the airport for international flights. One day sightseeing tour in & around Kathmandu (largest Buddhist stupa in the world, Boudhanath; the most important Hindu temple in Kathmandu, Pashupatinath; the ancient monkey temple, Swayambhunath). One local Sherpa guide. One porter per two guests. Depending on the size of the group, additional staff may be required. A comprehensive medical kit (bring your personal first aid kit with personal medications). An ideal destination if you are short on time or simply want to cut out the uncertainties of air travel, Langtang and Helambu offer landscapes and cultural experiences every bit as spectacular as anywhere else in Nepal. 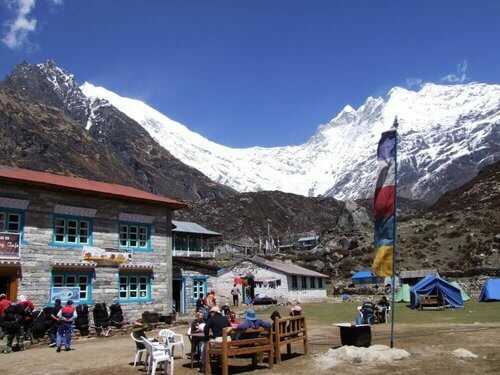 The Helambu and Langtang trekking areas are a hop and a skip away from Nepal's capital city. You can literally walk out of the Kathmandu Valley to get there. 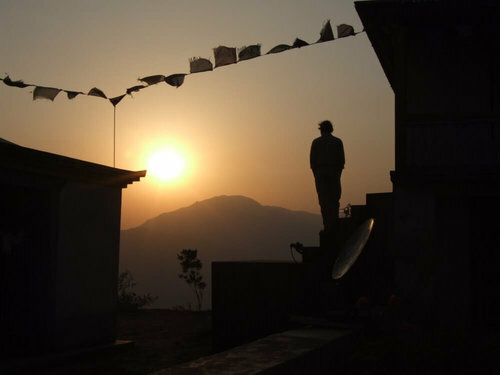 Yet you can still experience the intact, unique cultures of Tamangs, Newars and Sherpas, living in some of the most beautiful scenery in Nepal. The welcoming Sherpas who live here call themselves Hyalmo after the name of their sacred valley, Helambu. Here is a green and pleasant land of quiet villages, terraced slopes and pine forests leading up to Langtang National Park, perfect for relaxed, culturally oriented trekking. A little more adventurous is the popular route to the alpine lakes of Gosainkunda, holy to Hindus, Buddhists and Tamang shamans alike. Time your visit with the August full moon, when thousands of pilgrims trek up to bathe in the frigid waters at 4,000m, and you're in for an intense experience. The Great Himalaya Trail passes over into Langtang via the 5,308m Tilman pass from where you can see right into Tibet. The descent delivers you into another, very different hidden valley, of glaciers, alpine meadows and cheese factories. After sampling the delicious yak cheese and curd, you can head homeward via the verdant gorge of the Langtang Khola, keeping an eye out for families of playful grey langur monkeys and the iridescent Impeyan Pheasant, the national bird of Nepal.